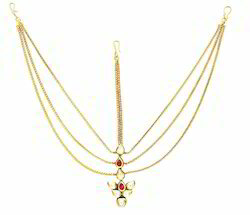 The damini is being popular since ancient time in India. It comes in large varieties. Star imitation has an enormous collection of imitation earrings. Get well polished, perfectly designed, durable and reliable ,specially manufactured by us. Gold Plated Ball and Pearl Mathapatti Indian Wedding Jewellery. 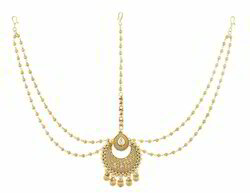 Wedding Jewellery Maang Tikka / Matha Patti. Festive wear Matha Patti. Wholesale rates will be different Designer Matha Patti. fashion Matha Patti that make you feel royal. The color complement all outfits & may worn as a statement piece to any occasion.